Devi & I would like to thank you and the team from the bottom of our hearts for the superb education and well-being provided to Arya. When we were deciding on a Pre-School for Arya, it was without doubt that Teddy Bears Montessori stood out and we had no hesitation in allowing Arya to start her foundation phase in your school. I would like to express our heartfelt gratitude and appreciation of the way you and the staff of TBM welcomed our two little children and integrated them into the TBM family. Like most parents, my husband and I were extremely anxious about our kids leaving home… We acknowledge the tremendous dedication and care that you and the staff put into looking after the children. Dropping the children off every morning knowing that they were receiving the best possible care gave us a great sense of peace. We have noted the amazing strides of growth and social development in both our children. Thank you for facilitating a sense of awareness and confidence in them. we appreciate that what they learn at school reflects that which we try to instil in them at home. You do an amazingly awesome job! May God bless you always. Want to have your say too? 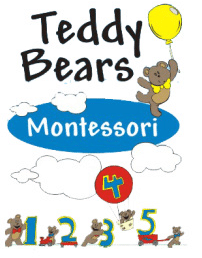 Contact Teddy Bears Montessori - we’d love hear your thoughts and feedback.